If you want to start taking running seriously, then you know how difficult it can be. It’s a long, painful road to get to a place where you can go for more than a minute without gasping for air. Once you have passed the rough part, it’s not like it gets any easier, but it won’t seem as cumbersome. Who knows, maybe you’ll even start enjoying it! While you can just keep running until you can’t run anymore, it’s sometimes good to keep track of how far you’ve gone, and maybe even compete with your old running times. 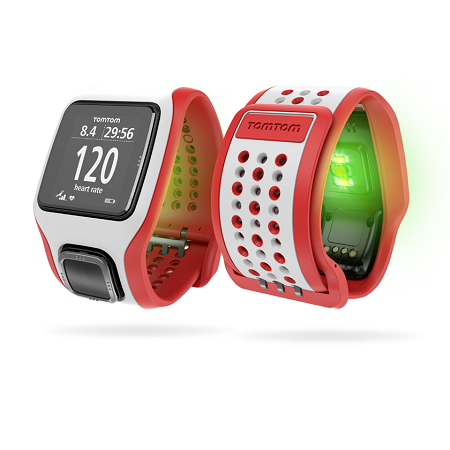 If you’re always up for improving, but need a way to keep track, then the TomTom Cardio Multi-Sport or the Cardio Runner GPS Watch can help. These do function as a time piece of course, but they have a built-in heart rate monitor which can tell you what your optimal heart rate zone is, it can keep track of your speed, show you real-time running information, and will give you vibration alerts so you can keep listening to music without interruption. The Multi-Sport can be used for running, cycling, and swimming, while the runner is obviously aimed at only one of those. There is of course a price difference between them, with a range from $345-390. There are 5 different intensities you can train in called sprint, speed, endure, fat burn, and easy. This can be charged and synced with your computer, and will work with a plethora of running apps. It will be available on the 30th of this month.